Nancy Menk holds the Mary Lou and Judd Leighton Chair in Music at Saint Mary's College, Notre Dame, Indiana, where she is Professor of Music, Director of Choral Activities, and Chair of the Music Department. She also teaches graduate conducting at the University of Notre Dame. At Saint Mary's College, Dr. Menk conducts the Women's Choir and the Collegiate Choir, teaches conducting, and prepares the Madrigal Singers for the annual Christmas Madrigal Dinners. Under her direction, the Women’s Choir has performed on tour throughout the United States and it regularly commissions, performs, and records new works for women's voices for their CD series on the ProOrgano label. They have performed by invitation for divisional and national conferences of the American Choral Directors Association, most recently for the 2016 Central Division Conference in Chicago. They were named second place winners of The American Prize in Choral Performance for 2012. She is founder and conductor of the South Bend Chamber Singers, an ensemble of 32 select singers from the Michiana area. Thy have been finalists for the prestigious Margaret Hillis Award for Choral Excellence, given annually by Chorus America, and winners of the ASCAP/Chorus America Award for Adventurous Programming. The Chamber Singers were invited to perform for the American Choral Directors Association Central Division Conference in Fort Wayne, Indiana in March 2012. Both the Saint Mary’s Women’s Choir and the South Bend Chamber Singers regularly commission, perform, and record new works. Dr. Menk is also conductor of the 110-voice Northwest Indiana Symphony Chorus. Nancy has been a conducting participant in the National Conductor's Symposium with the Vancouver Chamber Choir and the Oregon Bach Festival. She is Editor of the Saint Mary's College Choral Series, a distinctive series of select music for women's voices published by earthsongs of Corvallis, Oregon. She contributed a chapter for the new book, “Working with Women’s Choirs: Strategies for Success,” published by GIA. Dr. Menk serves regularly as a guest conductor and choral adjudicator throughout the United States. She has conducted All-State Choirs in Colorado, Delaware, Indiana, Kentucky, North Dakota, Maryland, and Pennsylvania. In August 2011, she served as guest conductor for the Hong Kong Youth Music Camp Chorus. She has conducted 6 Carnegie Hall concerts, including the Carnegie Hall premiere of American composer Carol Barnett’s The World Beloved: A Bluegrass Mass. She returned to NYC in November 2014 to conduct a concert of music by American composer Gwyneth Walker at Lincoln Center’s Alice Tully Hall. In October 2016, she became the first woman to program and lead a subscription concert of the South Bend Symphony Orchestra, conducting works by C.P.E. Bach, Antonio Vivaldi, and Igor Stravinsky. 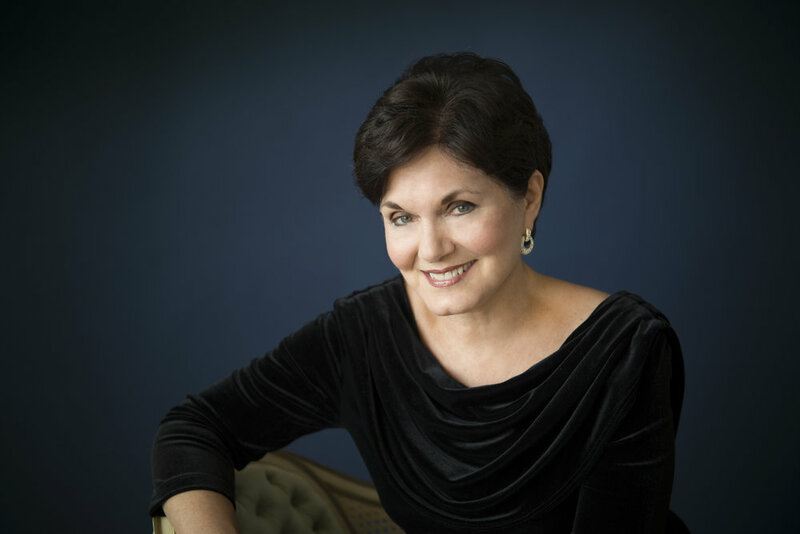 In March 2019 she will return to Carnegie Hall to conduct a program of music for women’s voices and orchestra in honor of the 175th anniversary of Saint Mary’s College.